Pennsylvania’s first nationally designated bicycle route – U.S. 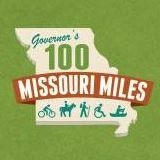 Bicycle Route 50 – was officially approved in May by the American Association of State Highway and Transportation Officials (AASHTO), and makes Pennsylvania the 25th state to join the developing U.S. Bicycle Route System (USBRS). The 163-mile route mostly follows off-road trails, including the popular Great Allegheny Passage, Montour Trail, and the Panhandle Trail. Cyclists can now ride 538 miles on U.S. Bicycle Route 50 from Washington, DC, to the Indiana/Illinois border. Once completed, the route will connect all the way to San Francisco. The USBRS is a developing national network of officially recognized, numbered, and signed bicycle routes. The new USBR 50 designation brings the total mileage of the system up to 11,726. More than 40 states are working on designating and implementing official U.S. Bicycle Routes.